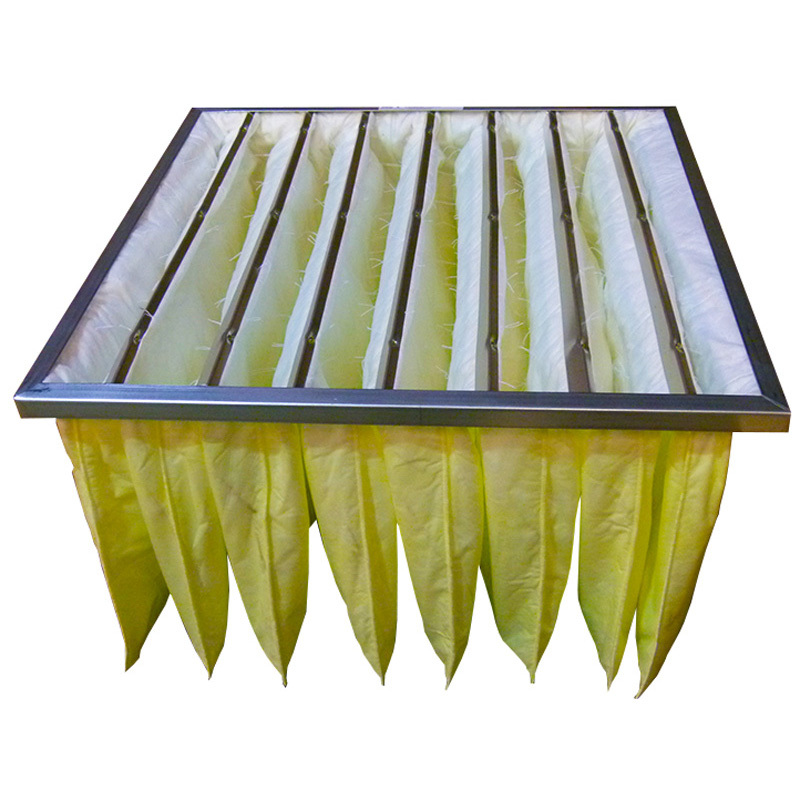 Our bag filter incorporates an ultra-fine, dual-ply 100% synthetic media. Individual pockets are formed by span stitching down the length of the pockets to maximize the utilization of media. The stitching is coated with a thin line of hot melt adhesive to secure the thread to the media and seal any perforations in the media caused by sewing. The pockets are individually adhered to an internal aluminum tube header. Each individual pocket is fastened to the next by means of pocket support ribs, which are mechanically attached to the internal header. The entire assembly is encased in a galvanized steel header frame to prevent racking and possible bypass of unfiltered air. Our dust collection bag filters are classified under U.L. standard 900.